Spotlight on Lynda of "Taste Food"
This is my chance to salute Lynda Balslev, food writer extraordinaire, an incredible chef (trained at Le Cordon Bleu de Cuisine in Paris) and a lovely, kind person who always has time for new food bloggers like me. I first noticed her bright green apple avatar during competitions on the food52 site. Later on, I began following TasteFood on Twitter and Facebook, impressed by her creative posts. During a recent lunch, Lynda admitted that she doesn’t often rely on cookbooks, preferring to develop her own recipes. I hope you will visit her beautiful site to enjoy both her recipes and brilliant photographs. 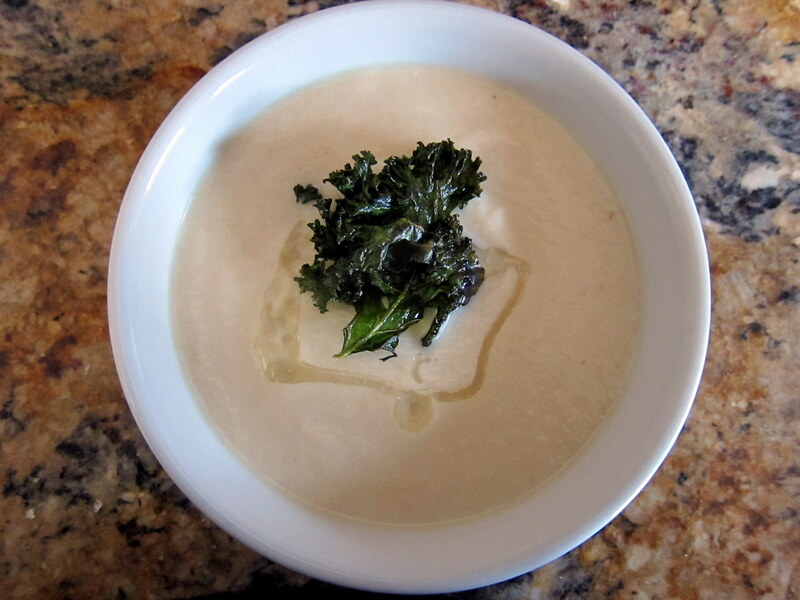 Hard as it was to focus on just one recipe to feature here, I picked Lynda’s Cauliflower and Celery Root Soup with Truffle Oil and Crispy Kale. This delicious soup recipe is actually a two-for-one, and the kale chips have become a favorite snack in our household. My husband recently asked for another batch of “green potato chips”! 1. To prepare the soup, heat the olive oil in a large pot over medium heat. Add the celery root and cauliflower and cook for 3 minutes without browning. Add the garlic and cook for 1 minute. 2. Add the chicken stock and cheese. Cover and simmer until vegetables are very tender, about 30 minutes. 3. Carefully transfer small batches of the soup to a food processor and puree until smooth. Return to soup pot. 4. Add cream, salt and pepper and additional chicken stock if needed. Simmer for 5 minutes and serve. Garnish with crispy kale leaves and a drizzle of truffle oil. 1. Preheat oven to 350 degrees. For the kale, toss with garlic, olive oil, salt and pepper on a sheet pan. I have just discovered crisping up kale. I love it. I think the lemon makes it. This soup sounds great and it looks like you could make it vegetarian very easily. I am definitely adding this to my Meatless Monday repertoire. TasteFood always has great recipes and is worth the regular stop off on her site as well. Thanks Liz for sharing. Your soup looks amazing. Lynda’s soup is wonderful – glad you enjoy her site as well…Stay warm in Chicago! Thank you so much for the feature, Liz! Add me to the fan club for Lynda and her blog TasteFood! What a wonderful idea to put her in the spotlight! I haven’t tried her cauliflower soup but I plan to soon – it looks wonderful like everything else posted there – and plan to make her kale chips this afternoon! 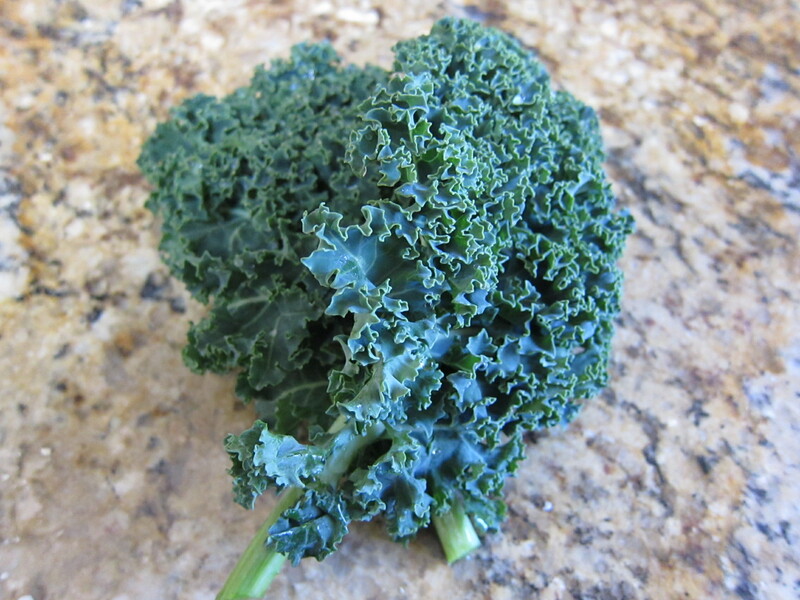 I made the kale chips substituting chard – it came out great!